Runner's Knee Part 1: What Is Patellofemoral Pain Syndrome (PFPS) And Why Is It Common In Runners? If you have been running for any period of time, then you have most likely had a run in with, or are currently battling, Patellofemoral Pain Syndrome (PFPS), or Runner’s Knee as is better known in the endurance community. PFPS is one of the most common causes of knee pain in runners but is also one of the most challenging conditions as the specific cause can be elusive. Furthering the challenge, Runner’s Knee itself has been used as a blanket diagnosis when runners present with any kind of knee pain, especially to clinicians unfamiliar with runners and running mechanics. Our goal through this series is to help runners of all abilities better understand their knee pain, its cause, and how to self-treat and prevent future occurrences. Additionally, as a provider based in Utah, we are the land of abundance when it comes to downhill races. This causes a sharp increase in PFPS cases that come through our office during the fall marathon season. Let's start with basic anatomy. 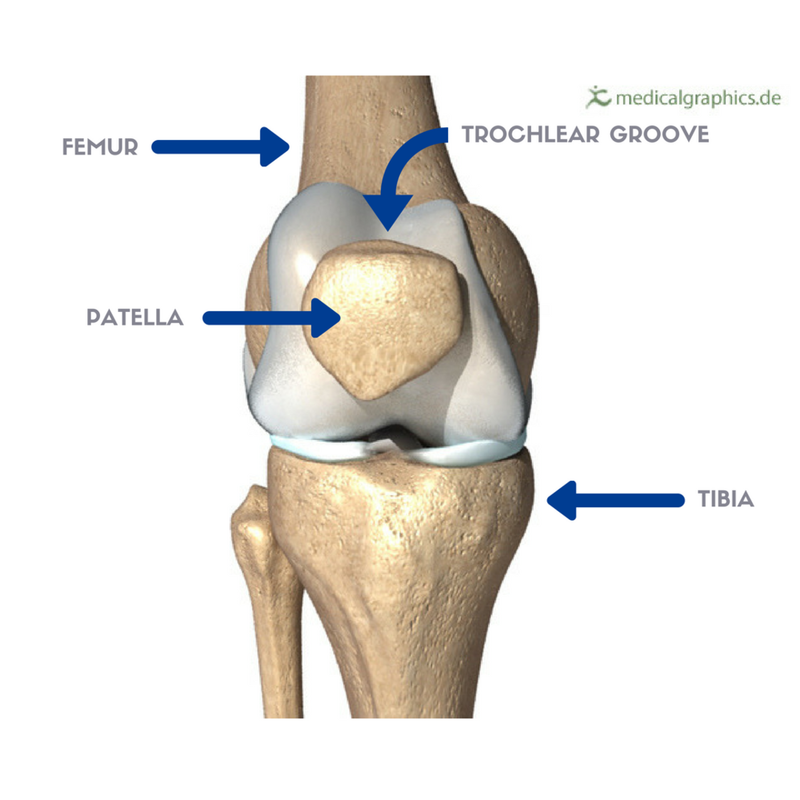 The Patellofemoral joint is made up of the Patella (Knee Cap) and the Femur. When we run, squat, or navigate stairs, the patella tracks, or glides, through a grove on the femur as the knee bends and straightens. Almost always, this is a pain-free movement. Note: There are different shapes of this joint that can cause mal-tracking of the patella and abnormal wear patterns that can cause pain. Also, body mass plays a role in the loading of this joint as well. In an attempt to keep this article simple, we will not discuss this further as many resources are available on this topic. Now that we understand the basic anatomy, let's define Patellofemoral Pain Syndrome. According to the Patellofemoral pain consensus statement, given at the 4th international Patellofemoral Pain Research Retreat, PFPS can be defined as ‘Pain around of behind the patella, which is aggravated by activity that loads the patellofemoral joint during weight bearing on a flexed knee (as in running) and could included but not necessarily, crepitus, tenderness to palpation, effusion, and pain upon rising or straightening the leg after sitting. While this sound very general and vague, it does help us eliminate some of the other common running knee injuries as most have their specific criteria for diagnosis. Simply put, Patellofemoral Pain Syndrome is a pain over, under, or around the kneecap that is aggravated by running. How Common Is Runner's Knee & What Are The Signs And Symptoms? How do you know if you are truly dealing with patellofemoral pain syndrome? Honestly, that is where physicians come in, but you can get a good idea yourself just by understanding its presentation. We have already discussed that it typically presents as pain over, under, or around the kneecap that is aggravated by bending of the knee, but who is at greater risk? Those at risk include young adults, more commonly during times of growth or during activities that require repetitive movements (running). According to a 2016 issue of JSPT, 75% of patients have tenderness around the patella, the onset is usually gradual at the anterior, or front, of the knee, and pain occurs during movements that increase stress along the joint. It should also be mentioned that Runner’s Knee is notoriously stubborn, meaning rest alone typically does not help. A structured treatment and rehabilitative action plan need to be in place to allow timely recovery and prevent future occurrences. To better understand your risks as a runner, almost ¼ of all knee complaints presenting to an orthopedic, sports chiropractic, or PT office are PFPS with almost double the number of female cases as male, most likely due to Q-angle and knee valgosity during running. Before we jump into how running relates to Patellofemoral pain syndrome, so much that it is called ‘Runner’s Knee’, let's talk about the normal stress of the joint. The patellofemoral joint is designed very well and is suited to handle quite a bit of stress. Just think about the weightlifter that can squat a small truck or the guy down the street who seems to run an ultramarathon every other weekend. Our knees are designed for load, yet, as in many other things in life, genetics and care for oneself have a great impact on how well we recover from that load. As we study patellofemoral pain syndrome, we understand that load compounds and becomes too much. 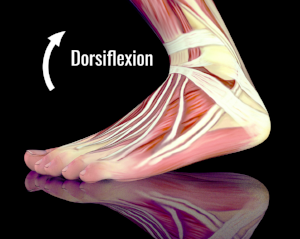 This excess in stress can wear away the protective layers around the joint, causing pain during common movements. As runners, we can understand that on each and every step, we are loading the knee joint, thousands of times each and every run. We should mention that while running, we load the knee with 5-6 times our body weight each and every step. Hopefully, something just clicked and you now realize why you need a day off each and every week….sometimes two, to allow for proper recovery and regeneration of your tissues. As runners, we can not continue to pound the pavement and climb the trails, day after day, and expect our bodies to cooperate. Now, where does this stress come from? If we go back to our anatomy, we see that the powerful quadricep muscle group attaches to the patella through a much smaller quadriceps tendon, which then dissipates load and tension through an even smaller patellar tendon on the bottom of the patella. Over time, the quadriceps can become tight, causing abnormal tension, and movement of the patella over the femur. When we run, we drag the patella across this groove thousands of times and if we have dysfunctional movement, this can cause a problem. Another common cause of tracking issues is the all-to-familiar IT band tightness. If you are a runner who has had a quarrel or two with IT band syndrome, then chances are this could be a contributor to your Runner's Knee. To better understand this, we know that the IT band attaches to the lateral side of the knee (outside) with attachments directly on to the patella and the lower leg. Tightness here can pull that patella laterally, resulting in maltracking through the groove, furthering wear, breakdown, and pain. Now, we can’t just blame this on a tight IT band as tracking to the outside could be from a weakness of the medial stabilizing muscles of the thigh. Not to go to in-depth with running mechanics. The quadriceps should not be the primary driver in runners, but some have less than ideal form while others just absolutely love downhill racing! As a Utah based physician and now Utah based runner, downhill races are the thing. As a side thought I have shared with patients. I cringe but slightly enjoy talking with out-of-towners who think they are going to come here, run a race with a 3000 ft drop, and just breeze to a new marathon PR. I always give warning that if you do not control your tempo and stride, your quads are going to blow up and you will either have a terrible race or have terrible knee pain the following days and weeks….often both. Back to the mechanics. During downhill running, our quadriceps no long absorb shock and help move us forward, they begin to slow us down and perform a similar job of eccentrically bracing for impact and preventing the femur from translating too far forward over the tibia (shin bone) while maintaining some kind of control medially and laterally. This is very taxing on a muscle. Imagine doing 100 squats, but instead of just pushing up, you have to do a slow 20-second descent into the squat position, essentially what we call a ‘negative’ movement. This is a different strain on a muscle, one that has to be trained and if you do not practice downhill running, some of the races we have will eat you alive! Now that I’m off of my soapbox. The repetitive nature and load that running puts on a knee can quickly cause patellofemoral pain. Downhill running is a major catalyst to Runner’s Knee pain! How Do We Address Runner's Knee To Keep You Running? So, how do you treat patellofemoral pain syndrome? Well... we first have to determine the cause. If you are a runner, it is not as easy as saying running is the cause. The intricacies of the running mechanics are more likely to be at fault, this is where a thorough assessment comes in. Depending on the providers, you could be told to stop running for a while, while another trained in treating runners will try to find the cause and develop a plan around you continuing to run. Either way, the easiest explanation of a patellofemoral pain treatment plan consists of 3 things: Offload, Rehabilitate, & Reload. Offload: Is the pain so bad that you can not take more than a handful of steps without some kind of pain? This may require some time off from running. For most, if you address the pain early, a modification in your training program is usually necessary. Typically we will scale back your intensity, volume, or both while you are working through the rehabilitative phase. Rehabilitate: What is the primary cause of your patellofemoral pain? Once we can determine your cause; running form, hip strength, ankle mobility, training volume, downhill running, etc., we can develop a plan around this, your goals, and your races. Reload: While we don't want to completely offload an injury if possible, we find that maintaining some of the familiar load (in this case, pounding the pavement) placed on the muscles, joints, ligaments, and tendons can speed healing. As we work back up from an injury, care, caution, and discipline must be placed on progressing slowly, even in we are feeling great. Patellofemoral pain syndrome is one of the most common sources of knee pain in runners, so much so it is also called Runner’s Knee. Patellofemoral pain syndrome is characterized by pain over, under, and around the patella, or kneecap, that is aggravated by activities such as running that load the patellofemoral joint in a repetitive manner. Runner’s Knee is most commonly an overuse condition. During bending of the knee, the patella glides, or tracks, through a groove in the femur. Tight muscles, excess load, overtraining, etc. can cause dysfunction of this movement, leading to patellofemoral pain. Stay tuned for more information (than you could ever want or need) on Runner's Knee, its cause, what you can do for it, and when it is time to seek help so that you can continue to run toward your racing goals.